The odds seemed to be against Ritchie Torres. The 28-year-old Bronx native grew up in the Throggs Neck public housing projects and dropped out of New York University. But in 2013, at age 25, Torres was elected to the New York City Council. 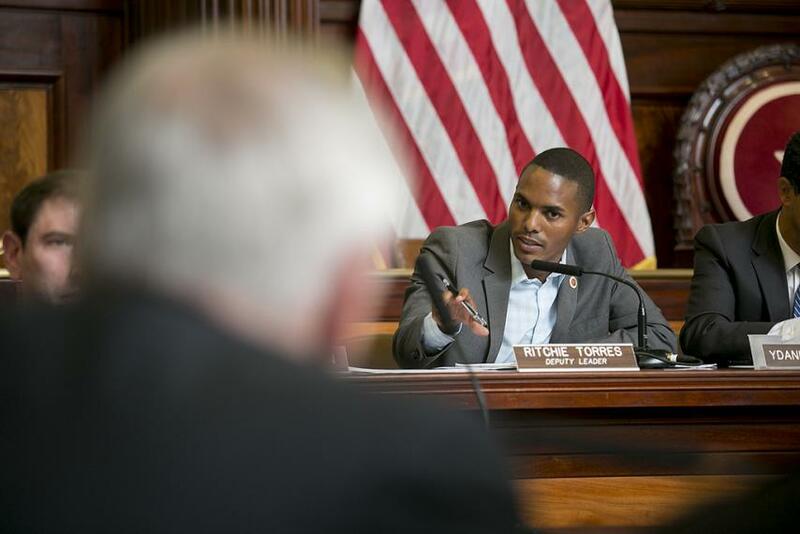 He is the Council’s youngest member and the first openly-gay legislator to represent The Bronx. Bronx residents are often characterized as being politically disengaged. That’s especially true of those who fit Torres’ profile. According to the CUNY Graduate School of Journalism’s NYC Election Atlas, only 23 percent of registered Democratic voters from the Throggs Neck area turned out for the last mayoral election. 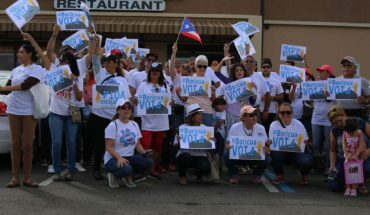 A report published by the New York City Campaign Finance Board following that election found that young male hispanics were the least likely to vote. Feet in 2 Worlds asked Ritchie Torres what motivated him to get involved in politics, and how to encourage others to do the same. What sparked your engagement in politics? What made you care? After 9/11 happened, I was shocked and had no choice. I had to care. It opened my eyes to the power of politics, and it made me much more aware than ever before. After that, I became a member of the Coro Leadership program working with the mayor and took a liking to politics in general, and saw a lot of opportunity to make change within my own living conditions in the projects. Tell me about your dedication to improving living conditions in public housing? How has your background helped you in this space? Public housing is a symbol of the disinvestment of the urban poor and blacks and Latinos. I am black and Latino, and I grew up in the projects. Every level of government is failing public housing residents and they have fallen deeper and deeper into despair. Early in my career I was able to parlay my role that I had in the City Council into that of a tenant organizer. I had a real desire to go out into the community and knock on doors and take pictures of deteriorating conditions to share with other public officials. I recall visiting one building that was infested with so much mould that you could no longer see the walls. This experience, and my own growing up in the projects, left a real impression on me. When I first became the chair of the (Council’s) Public Housing Committee, I held the first ever New York Council meeting at a public housing development in Coney Island that had been hit hard by hurricane Sandy. Tenants there had no heat and no hot water and no one was doing anything about it. I was able to call upon NYCHA and the federal government to work on the issue of defunct boilers across public housing in New York City. I was able to secure $100-million from the Federal Emergency Management Agency because people were using their stoves to heat up their apartments and exposing themselves to carbon monoxide. I’m an advocate for the interests of public housing residents and I pride myself in speaking truth to power. Another person that you toured through the projects with was Bernie Sanders. Looking back on his campaign, what do you think we can learn from it? Yes, I toured with Bernie through a development in Brownsville and in the West Bronx. Bernie revealed the true power of the grassroots. Especially in the wake of Citizens United, even I felt pessimistic about the future of politics–and felt like our politicians were simply bought and sold like corporate interests. Bernie changed that. He accepted no donations of super PACS, he was able to out-raise Hillary Clinton and all the Republican nominees, and he raised upwards of $40-million. The Democratic Party was openly disdainful of him. Hillary Clinton shifted to the left in response to young grassroots support. We had an impact on shaping the terms of this debate and making this more progressive. I emerged from (Sanders’) campaign feeling more optimistic and hopeful about the potential of millennials. The challenge that we face is how do we translate inspiration into infrastructure. How do we translate campaign into something more durable. Aside from being black and Latino, you are also a millennial. As millennials, we are slated to be less likely to vote. Why do you think it is important for millennials to vote? The power that most young people have is not the power of money it’s the power of voting. If more young people were to vote I think our interests would be reflected in the outcome. Two thirds of the federal budget is skewed towards senior citizens. So naturally, those are the people who will vote. But we have the power to change that. One glaring example is the Black Lives Matter movement. It was something that was started by millennials of color and has sparked criminal justice reform. None of this consensus-building, or movement of policies, or reforms you are seeing took place in a vacuum. It has happened as a reaction to the movement—a youth-powered movement on social media. 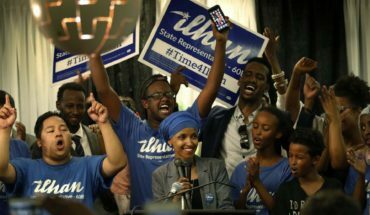 Young people have been masterful at leveraging social media to magnify their political voice. The power of young people over public policy has been under-appreciated. But those same millennials hold the power of the vote. 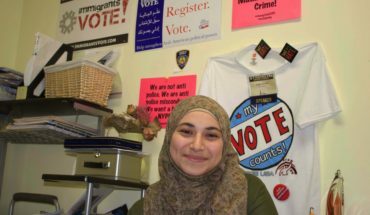 What are some of the strategies that you have employed to get people from your neighborhood, from the Bronx, to care about politics? This is the single greatest challenge that I grapple with. We do have things like participatory budgeting, which you can become an active part of at age 14, and you can help determine things like whether money is being invested in your school or not. Still, for all of its virtues, participatory budgeting is tinkering around the margins. I will confess that I don’t know what could be done to fundamentally change the game, to move the needle on civic and community engagement. There has been a real decline in civic life, but the best hope we have is in social media. In this context, is it important for those who feel disenfranchised to vote? Absolutely. The more we participate, the more our interests are reflected. Right now we’re also facing a situation where Trump could become president. He is an apocalyptic threat to the Republic itself. He has no business serving as the city clerk, much less the President of the United States. I would encourage Sanders supporters, and those who feel disenfranchised to support Hillary, but not blindly, but critically. There needs to be a movement that is unafraid to hold her accountable and move her to the left. What’s the best part about your job? What’s next for you? I have a microphone, I can use it to advance policies and causes that I care about. I can articulate the experience of the urban poor and work to shape the public mentality about issues that concern us. As far as what’s next—I just take one day at a time.